There's a whole lot of history in the Enaville Resort, better known as the Snakepit. Since 1879, the two-story, dark-brown log structure has overlooked a scenic bend in the Coeur d'Alene River less than two miles from what is now Interstate 90. Chock-full of memorabilia — kitschy paintings, a collection of swords, vintage beaded purses, old mining paraphernalia — it isn't just the building itself that's full of history; it's the people who make the place memorable. "We have such a great clientele," says manager Debbie Wilmarth, who came out of retirement after 14 years as food and beverage manager with the Coeur d'Alene Casino for an opportunity to manage the Snakepit. There are, she says, "a lot of returning guests and many new guests who feel the warmth and genuine caring that we have for them." 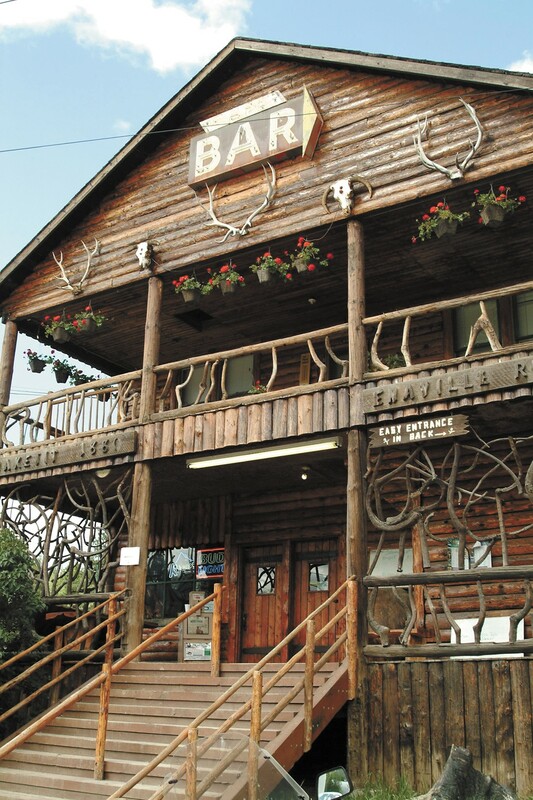 A one-time bar, hotel, bordello and gathering place for the litany of loggers and miners traveling through this eastern stretch of the Panhandle, the Snakepit was turned into a beloved family restaurant by Silver Valley locals Joe and Rose Mary Peak in 1978. Although a popular destination for river-goers in the summer and snowmobilers and skiers in the winter, the Snakepit — through the Peaks' genuine, far-reaching hospitality — became a community center of sorts for nearby Kingston and surrounding areas. Kim Gittel and his wife Joanie bought the place in 2013, making modest changes — a new wood stove, handicap access, padded bar seats, air conditioning — to the 133-year-old building. Otherwise the menu remains essentially the same: steaks, burgers, potatoes served baked, fried, sliced, or mashed with gravy. "You could not ask for a better place to work or people to work for," says Wilmarth, crediting the Gittels for maintaining the Snakepit's friendly feel. "The atmosphere at the Snakepit is relaxing and full of warmth, and you can hear the laughter from our guests." "They all seem to have a story about the Snakepit, and we love to hear them all," she adds. Mine involved red beer and a plate of crispy-fried rocky mountain oysters after a summer afternoon motorcycle ride — and a more recent visit doing what people do best: eating, drinking and making memories.